Craving Italian eats? A new neighborhood spot has you covered. Located at 1247 S. 13th St. in Passyunk Square, the newcomer is called Burrata. At this trattoria, diners can start off a meal with an array of appetizers, including grilled baby octopus, mussels and the eponymous burrata -- a cream-filled fresh mozzarella cheese topped with tomatoes, prosciutto and fig balsamic. For the main course, check out the mint fettuccini with rabbit ragu and shaved truffle pecorino, or the grilled lamb chops. Burrata has proven popular thus far, with a 4.5-star rating out of five reviews on Yelp. 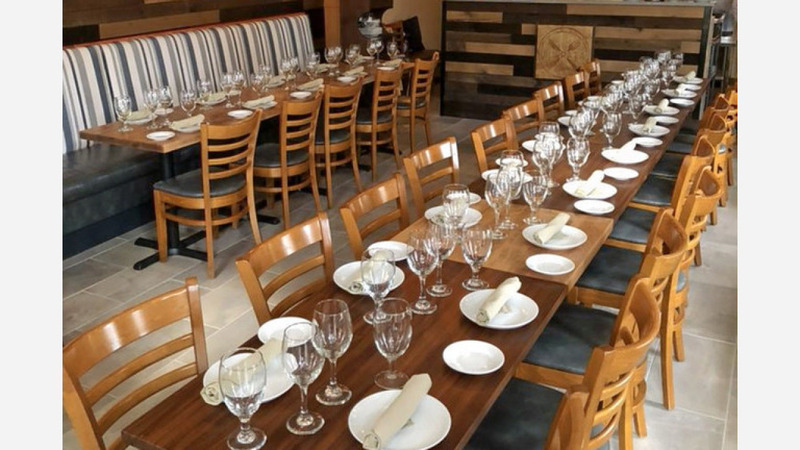 Katerina T., who was among the first Yelpers to review the new spot on May 4, said, "The burrata appetizer is such a great combination of different flavors and textures. The fig balsamic drizzle was amazing! The lamb chops were the best lamb chops that I've ever had. So much flavor and so juicy! Great service. I can't wait to come back and try everything that's on the menu!" Yelper Bob K. added, "Be sure to try the burrata appetizer ... a unique experience, and the cheese is made fresh on-site. The grilled octopus was perfect. The list of pasta dishes has something for everyone -- vegetarians, fish lovers, meat eaters. We had the pappardelle with wild boar ragu -- super tasty."